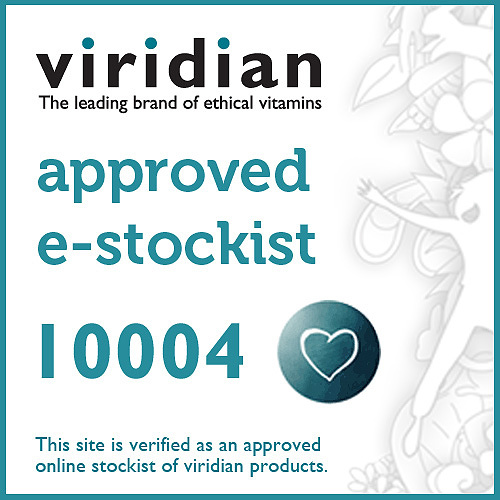 Viridian 100% Organic Scandinavian Rainbow Trout Oil is a premium fish oil that sets the benchmark for environmental sustainability, nutritional quality, as well as freshness and purity. It is the world’s first certified organic fish oil. The oil is produced within hours at the source using a gentle process creating fresh, non-oxidised oil with a full spectrum of naturally-occurring fatty acids. It is completely sustainable and a socially-responsible fish source that employs green practices to ensure zero waste and low carbon footprint. 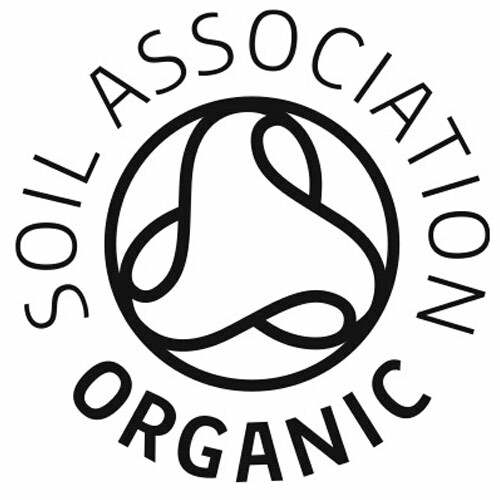 Soil Association certified; the inland fresh water source ensures complete environmental control with no chemical or industrial refining and naturally free from heavy metals. *Fatty acid balance as naturally occurring in organic, virgin, fresh-water rainbow trout oil. Organic Rainbow Trout Oil, Organic Orange and Lemon Oil, Organic Rosemary Leaf Extract (as an antioxidant). As a food supplement for adults, take one to three teaspoons daily. For children aged one to 12 years take one teaspoon daily, or as directed by your health professional. 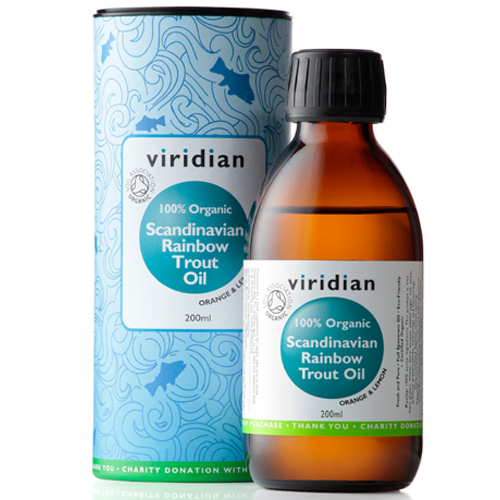 Below are reviews of Viridian Organic Scandinavian Rainbow Trout Oil - 200ml by bodykind customers. If you have tried this product we'd love to hear what you think so please leave a review. I buy this every month for my two young children, one who has adhd and the other who was unable to be vaccinated due to a severe reaction. The oil calms my eldest adhd symptoms by half and keeps my youngest child’s immune system strong. It has been a God send for our family and is in keeping with our organic lifestyle - don’t hesitate to try for yourself! I like this,product. It taste pleasant. I have notice my nails seem to be growing better and not breaking all the time like they used to. Also, my skin feels more moisturised with no flaky patches, which I used to get each side of my nose at times. My whites of my eyes appear clearer too. I will purchase this product again.I take one teaspoon a day.